Vaccination of your horse, pony or donkey is a vital part of an overall preventative healthcare plan. We recommend vaccination against influenza and tetanus as minimum, and if you are competing you may require proof of vaccination. At GVG Brooks Equine we care about your friend’s overall health, and therefore as minimum recommend vaccination against influenza and tetanus. 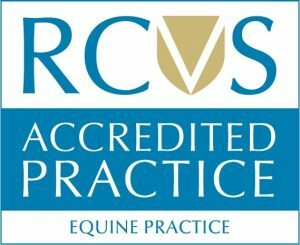 When attending to vaccinate your horse, the vet will request the passport to ensure the correct vaccine is given and to allow vaccination certification – please ensure this is present. The Equine Influenza (EI) virus is extremely contagious. It spreads fast amongst equines, causing rapid onset of clinical signs including: coughing, nasal discharge, fever, depression and loss of appetite. Severe infections can progress to pneumonia. It is passed in particles released when infected horses cough, spreading directly to other horses; or contaminating human skin, boots, equipment etc. This can then pass the virus on to other horses. This must be given annually as minimum. Tetanus is caused by the bacteria Clostridum tetanii, present in soil and the environment. The main route of infection is via skin wounds, but can also infect via the gut and in foals the umbilicus. The bacteria multiply rapidly, releasing tetanus toxin which causes damage to the nervous system. Tetanus causes generalised neurological disease, with progressive muscle spasm, the horse rapidly becomes unable to move or eat. Infection is almost always fatal. There are 3 forms of EHV disease of concern in horses – respiratory, neurological and abortion. Respiratory is the most common, causing a cough, nasal discharge, fever and loss of appetite. EHV is one of the most common causes of abortion in mares in the UK. On rare occasions EHV can cause severe neurological disease, initially starting with progressive muscle weakness and loss of balance, developing to inability to stand, almost always resulting in death. Given recent outbreaks of EHV in the UK clients are increasingly enquiring about EHV vaccination, we currently recommend mares receive the EHV vaccine against abortion. The EHV vaccination provides little/no protection against the neurological form of the disease. Vaccination against the respiratory form is also available. We offer a text message reminder service for clients who have had their horse vaccinated by one of our vets previously, although it should be noted ultimate responsibility for maintaining vaccination records and ensuring these are kept up to date lies with the owner.